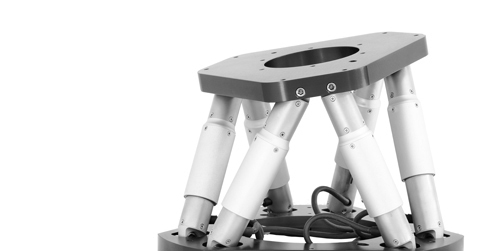 Specialized in high accuracy positioning, SYMETRIE offers a wide range of the most advanced hexapods allowing 6 degrees of freedom. We help you succeed in your dynamic motion projects, allowing you to test objects weighing from a few kg to several tons with up to 2m/s speed and 1g acceleration. 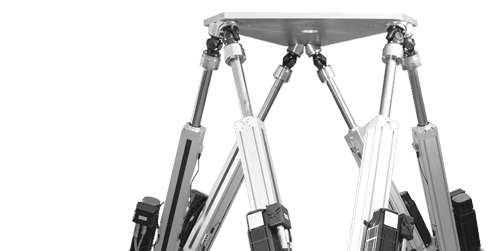 Our engineers stay available to discuss your specific hexapod projects and are committed to finding the best system for your particular application. 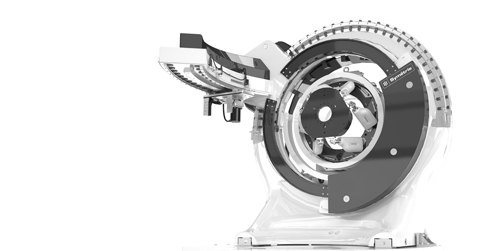 SYMETRIE will present its hexapod technology at the international show LASER World of Photonics, on June 24-27, 2019 in Munich, Germany. On January 20, 2019, the TV channel TF1 broadcasted a report on the simulation equipment available to the French army for training before going into the field. Twelve Symetrie hexapods on NOEMA! Symetrie has been chosen to provide the subreflector positioners for the twelve antennas of the NOEMA radiotelescope located in the French Alps.